Phobias are irrational, often overwhelming fears that can keep us from living freely and enjoying life. 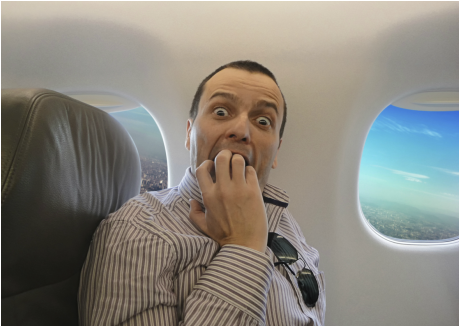 Many people experience fear of flying, for example. This may keep them from traveling-- not only for pleasure, but also for business or emergencies such as tending to ill relatives who live far away. 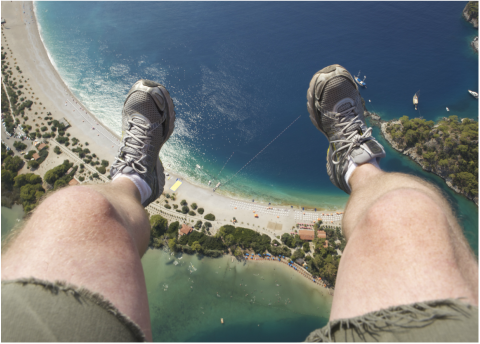 Fear of heights can interfere with everyday experiences, such as driving over bridges and getting on steep escalators, as well as exploring some of the world's most awe inspiring sights. We may find ourselves increasingly isolated by growing anxiety in social situations, or foregoing a promotion to a position that requires speaking in meetings or larger settings. Gardening and spending time in nature may lose their appeal when we encounter a garter snake or an insect that frightens us. Some people are crippled by a fear of dogs that extends even to puppies. A panic attack in one setting can make a person avoid going back to that place forever, for example, a supermarket. 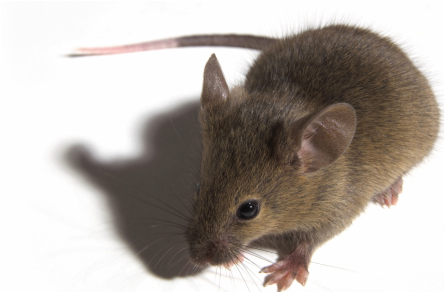 Avoidance perpetuates and often extends phobias, so that the fear can spread to other settings. Soon all supermarkets may be associated with overwhelming anxiety, making an individual terrified to shop for groceries. Gradually, this fear can extend to more and more places until it feels frightening to even leave the house. A surprising number of people are afraid of driving, especially on the highway or in unfamiliar places. This can interfere significantly with the ability to find the optimal job, visit new places, and have a satisfying social life. Hypnosis (alone or in conjunction with other techniques such as CBT, EMDR, IFS or Energy techniques) can greatly diminish the fear that constricts people's lives uncomfortably and makes them feel debilitated. The therapist will often work with the client to develop a hierarchy of stressful experiences from the least upsetting to the most. In trance the client is relaxed deeply and then asked to imagine the experiences in the hierarchy, from the least frightening up until he become anxious. He is then relaxed again and can proceed to the next level of the list. Under hypnosis the client can rehearse the steps in a phobic experience, perhaps starting with making plane reservations, packing, driving to the airport, waiting to board the plane, boarding, taking off, flying through turbulence, and landing. The client is in a state of deep relaxation during trance, and that is restored if her anxiety level increases. This kind of rehearsal is extremely helpful in desensitizing the fear. By repeating hypnosis in session, as well as listening to a CD created to be practiced at home, the client learns to hypnotize herself quickly over time. long with hypnotic treatment I work with patients on ways to reduce their level of anxiety by preparing well, having activities to distract him while flying, and even having a couple of tablets of anti-anxiety medication in his pocket as an emotional safety net. If there was a stressful event that precipitated the phobia, EMDR may be used adjunctively to desensitize the experience.